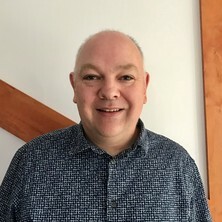 Dr Christian Gray joined the St Lucia Clinical Unit as a Senior Lecturer in 2019 and is a course coordinator and module lead. Prior to this, Dr Gray was a Lecturer in Infection and Immunity and was Immunology discipline lead at Peninsula Medical School at the University of Plymouth, Devon, UK. Dr Gray has previously undertaken Postdoctoral research in a variety of areas in immunological research including therapies for rheumatoid arthritis, pneumococcal vaccines, mastitis resistance in dairy cattle, and vaccines for R. microplus. He obtained his PhD from the University of Newcastle, Australia in 2002. He was the first to identify a link between activation of regulatory T cells and the suppression of the immune system in patients with melanoma. Within his current role he have transferred his skills from biomedical research into pedagogy of teaching and learning. He is actively developing a research portfolio within medical research focusing on the support of student learning. Jonsson, N.N. and Gray, C.P. (2007) Coccidiosis in Cattle: The role of hygiene and herbicides in its control. Cattle Practice, 15 3: 263-266. Gray, C.P., St George, T.D. and Jonsson, N.N. (2007) Milk fever in dairy cattle: A novel hypothesis for an immune mediated aetiology. Cattle Practice, 15 3: 277-282. Johnson, B., Vanags, D., Dobbin, C., Triantafilou, K., Gray, C. and Flesch, I. (2007) Chaperonin 10 regulates the innate immune response to toll-like receptor activation. Inflammation research, 26 Suplement 2: S125. Dobbin, C., Gray, C., Naylor, D., James, A., Flores, F., Flesch, I., Tully, N. and Johnson, B. (2005) Heat shock protein 10 modulates innate immunity through interaction with multiple toll-like receptor family members. Tissue Antigens, 66 5: 433-434. Gray, C. P., Arosio, P. and Hersey, P. (2003) Association of increased levels of heavy-chain ferritin with increased CD4(+) CD25(+) regulatory T-Cell levels in patients with melanoma. Clinical Cancer Research, 9 7: 2551-2559. Zhang, X. D., Zhang, X. Y., Gray, C. P., Nguyen, T. and Hersey, P. (2001) Tumor necrosis factor-related apoptosis-inducing ligand-induced apoptosis of human melanoma is regulated by Smac/DIABLO release from mitochondria. Cancer Research, 61 19: 7339-7348. Gray, C. P. and Hersey, P. (2001) Heavy chain ferritin activates immunoregulatory T cells by induction of changes in antigen presenting cells. Journal of immunotherapy, 24 5: S8. Zhang, Xu Dong, Zhang, Xi Yi, Gray, Christian P., Nguyen, Tam and Hersey, Peter (2001) TRAIL Induced Apoptosis of Human Melanoma is Regulated by Smac/DIABLO Release from Mitochondria. Journal of Immunotherapy, 24 5: S26. Nguyen, T., Thomas, W., Zhang, X. D., Gray, C. and Hersey, P. (2000) Immunologically-mediated tumour cell apoptosis: the role of TRAIL in T cell and cytokine-mediated responses to melanoma. Forum (Genova), 10 3: 243-252. Zhang, X. D., Franco, A. V., Nguyen, T., Gray, C. P. and Hersey, P. (2000) Differential localization and regulation of death and decoy receptors for TNF-related apoptosis-inducing ligand (TRAIL) in human melanoma cells. Journal of Immunology, 164 8: 3961-3970. Zhang, X. D., Franco, A., Myers, K., Gray, C. P., Nguyen, T. and Hersey, P. (1999) Relation of TNF-related apoptosis-inducing ligand (TRAIL) receptor and FLICE-inhibitory protein expression to TRAIL-induced apoptosis of melanoma. Cancer Research, 59 11: 2747-2753. Nguyen, D.T., Bleijs, R., Gray, C. and Heresy, P. (1998) Immunosuppressive factors produced by melanoma cells. AACR, 39 Abstract 614: . Jonsson, Nicholas N., Vankan, D., Stear, M. J., Waine, D. and Gray, C. P. (2008). Selecting cattle for host resistance to tick (rhipicephalus microplus) infestation - natural and human-directed selection. In: Proceedings of the 31st Internationl Conference on Animal Genetics. 31st Conference of the International Society of Animal Genetics, Amsterdam, Netherlands, (). July 20-24, 2008.